Post-menopausal women with low bone mass don’t need to be scared of trying high-intensity strength training. This is according to a new Journal of Bone and Mineral Research study. 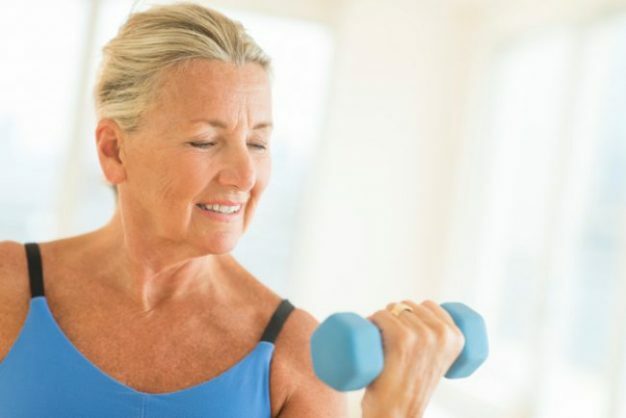 While exercise is known to be good for bone health, there has been a reluctance to use high intensity programmes in older women with low bone mass because of the risk of fracture or other injury. However, researchers found that only 30 minutes twice a week of high intensity strength and impact training improved functional performance and bone density, structure, and strength in post-menopausal women with low bone mass. And all these benefits came without any adverse effects. “We were delighted to find that even women with very low bone mass could tolerate the high loading required to increased bone mineral density as long as it was introduced gradually with close attention to technique,” said Dr Belinda Beck, senior author of the study.